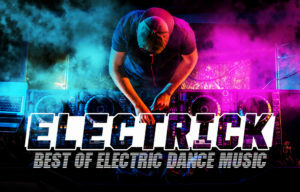 The best electric music for your party. Falling in love with music at the dawn of Rave, Rick frequented warehouse parties and classic nights such as Seduction, Evolution and the infamous Camber Weekender in 1992. Buying his first set of direct drive decks when he was 15 he set about ripping up the local house party scene! Moving to South West London in 1995 with a new pair of 1210s he began playing regular local nights and over the next 5 years built up a great reputation, had three weekly residencies, played on bills alongside the likes of Grooverider, Fabio, Judge Jules, Oakenfold, Plump Djs and Sven Vath to name a few and played parties at key London clubs. In 2000 Rick set off on travels around the world and on his return in 2002 co-formed the band A.P.E, playing/producing live beats and samples through Ableton. This has lead to several sets at various nights around Central and East London at venues including The Egg, Club Aquarium and 333. Now he can be heard on his weekly radio show Electrick on Slice Audio every Thursday from 9pm UTC, playing music across all genres of electronica covering the past 30 years from his vast record collection.